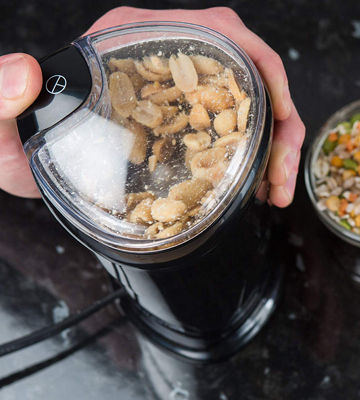 A powerful 200 W motor allows for grinding even the toughest of nuts and spices. 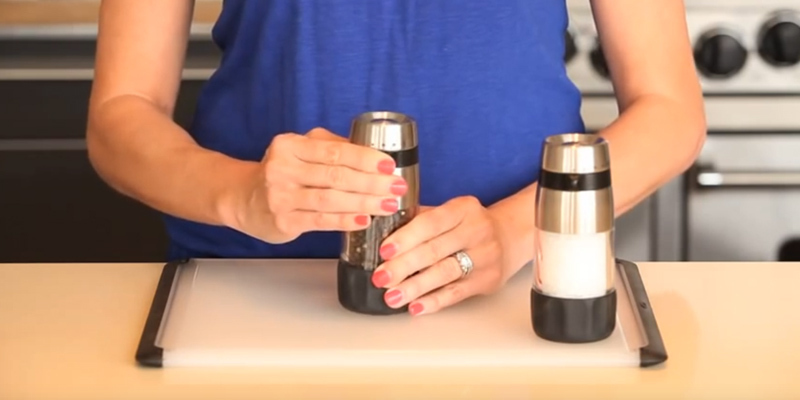 On top of that, the grinder comes with 2 cups for storing and milling the ingredients. Tends to overheat when used for a prolonged period of time. 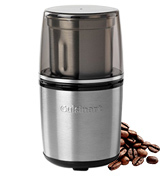 A grinder with extra sharp blades offers hassle-free grinding of various ingredients with a single push of the button. The lid of the grinder comes equipped with a vacuum sealed cap for keeping the aroma inside before the milling is complete. The model's milling properties are perfect for preparing espresso and other types of coffee. The grinding chamber can be somewhat difficult to clean. A fairly elegant looking and easy to use, this coffee grinder with a transparent lid cap can also be used for grinding nuts, spices, and seeds. The grinding intensity of this model depends on how long you hold the button. 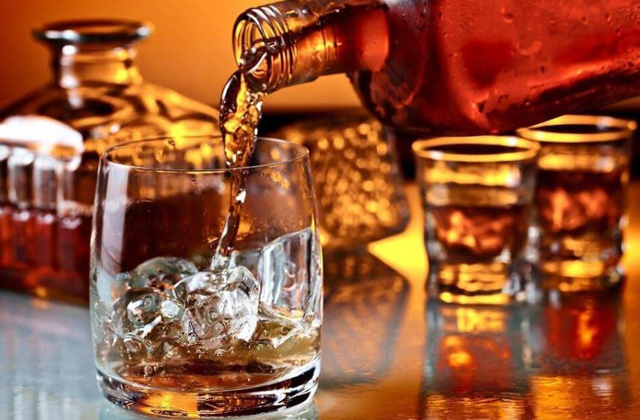 Plus, the motor won't start until you close the lid cap, providing some additional safety. The LED lights conveniently display just how much salt or spices you are adding to the dishes. Each unit requires 6 AAA batteries in order to run. 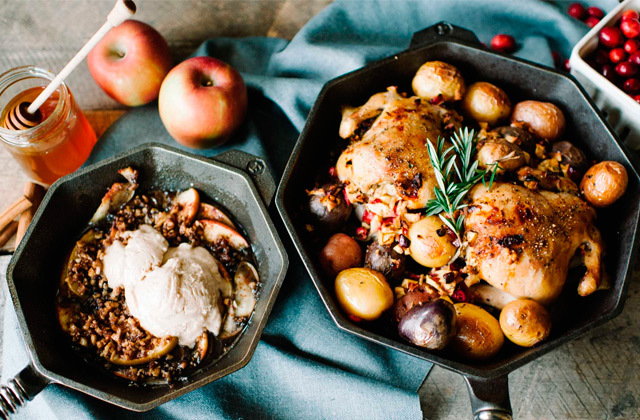 A stylish set of two millers will become a perfect addition to your kitchen. 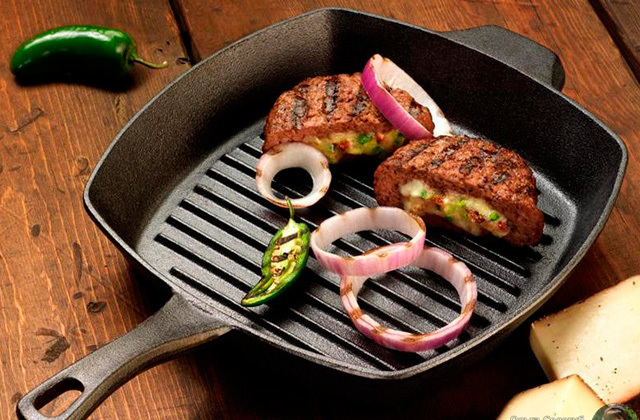 Both of the tools can be used for pepper and salt. 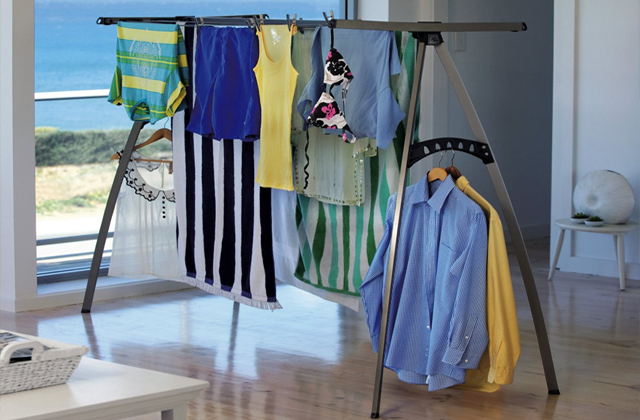 Your go-to pick if you are looking for a model that is not powered by an electric grid. A compact and portable design of the model allows hiding the power cord inside the housing of the device. The lid cap is a tad too tight. 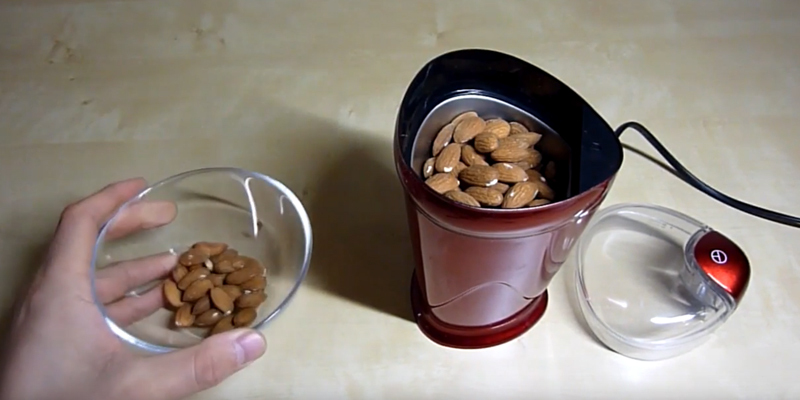 A fairly simple yet efficient coffee and nut grinder that could easily become one of your favourite kitchen tools. Convenient button placement contributes to the all-around ergonomic design and makes nut and coffee beans grinding an easy task. The appliance comes equipped with 5 grinding options, providing you with the opportunity to choose your kind of milling, from fine to coarse. 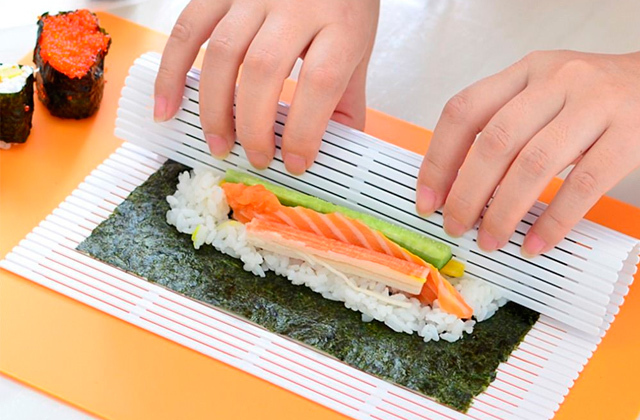 Since this is a manual model, it requires some effort to grind the foods. 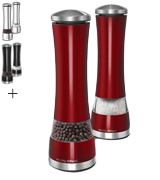 A manual pepper and salt mill with a design that allows for adding just enough spice for your needs without spilling anything on the table. The non-slip grinding ring makes the grinding process a real walk in the park. What makes a good spice grinder? It needs to be efficient, easy to use and clean and, fortunately, the SG20U model is all of the latter. 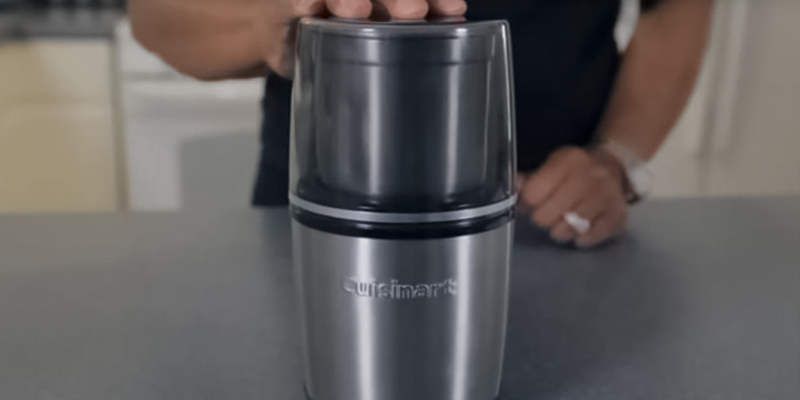 With an array of convenient and effective features, the electric mill from Cuisinart is a lightweight and compact solution. 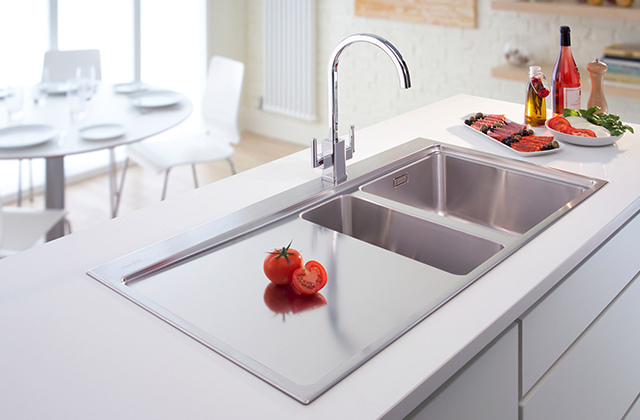 To be more specific, this rather small model features stainless steel blades and two high-quality steel bowls that can be cleaned even under the tap water. In addition to that, the device has a stainless steel housing, which makes it fairly sturdy. Each cup can fit up to ¼ cubic inches (50 g) of various ingredients such as coffee beans, spices, and nuts that can be turned into powder. Despite its modest dimensions of 19 x 10 x 10 cm, the grinder features a 200 W motor, which makes it one of the most powerful devices on the market. With such power at your disposal, you will be able to process twice as many ingredients than with any other model that has a lid with larger capacity. 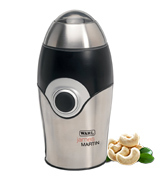 As for the security features, the electric spice grinder features a safety interlock system. With that simple yet effective mechanism on board, the device won’t start grinding until it’s closed in place. In conclusion, the SG20 spice and nut grinder is an ideal choice for you if you need a sturdy and reliable tool that can be effortlessly utilised by professionals and beginners alike. 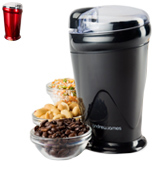 If you are a fan of Indian food, spices, and love using curry paste for literally anything, then the coffee grinder from Andrew James Electric will become your best kitchen friend. Furthermore, if you are crazy about coffee or peanut paste, this device is also a great option. Its powerful 150 W motor allows for shredding coffee beans of any density with ease. Plus, the device is not only capable of making perfect coffee powder but also nuts, seeds, and hard spices such as cardamom, clove, and cassia bark. 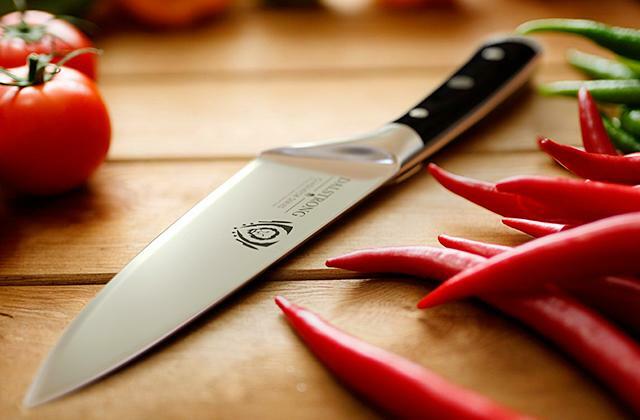 To start the grinding process, all you'll have to do is pour the ingredients into the lid, close it, and, with a single push of the button, the two blades that are made of high-quality stainless steel blades will ground anything to perfection. The tool features a safety lock that prevents the motor from starting until the lip cap is closed. 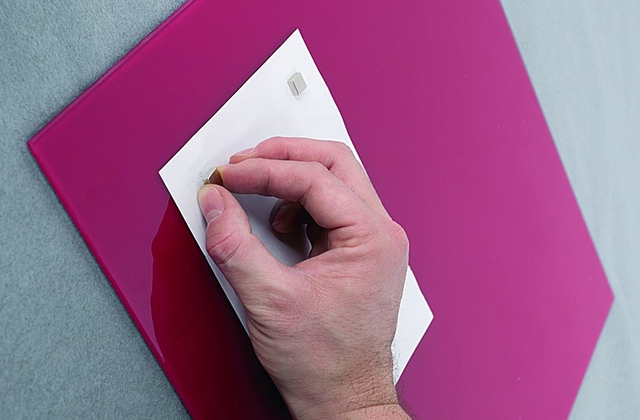 The lid itself, as well as the blades and other detachable parts, are quite easy to clean. That said, if you won’t disassemble all moving parts before emptying the spice chamber, you will have a hard time cleaning the device since the crumbs tend to stuck in the corners of the lid. Finally, aside from a couple of minor inconveniences, this is a great well-rounded model that can be used for literally anything from seeds to coffee beans and will definitely find its place in any kitchen. This rather unusual set of two mini spice mills offers a variety of handy features that will be suitable for those who prefer an effective approach to cooking. Each device has a sealed grind mechanism that prevents any unwanted particles from getting inside the housing. What is more, the special transparent acrylic windows will conveniently display just how much spice is left in the grinder. Although the device offers a quick grinding of various ingredients, the downside of this model is that each one of the units requires 6 AAA batteries in order to operate properly. 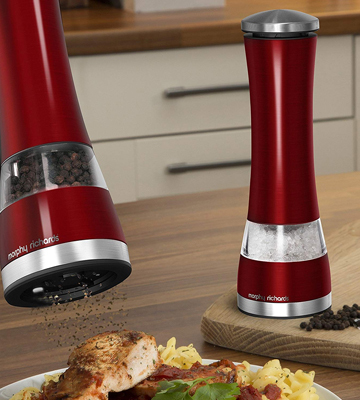 So, if you intend to use this pepper and salt mill quite often, we recommend purchasing a set of rechargeable batteries so you won’t run out of charge in the middle of the cooking process. As for other handy elements of the design, both of these small mills have a built-in LED light that illuminates the area underneath the device when it’s in use. 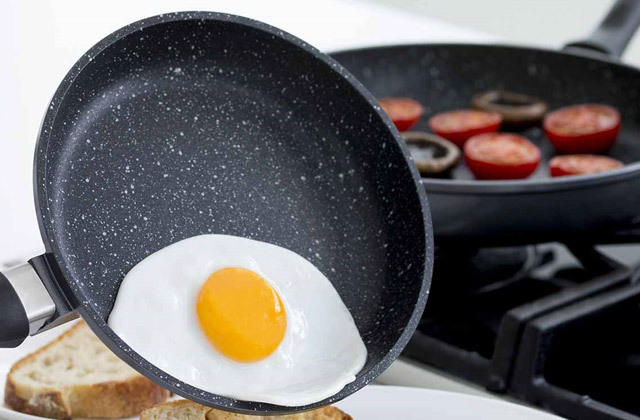 On top of that, the set comes in 6 different colour patterns in order to fit the design of just about any kitchen. 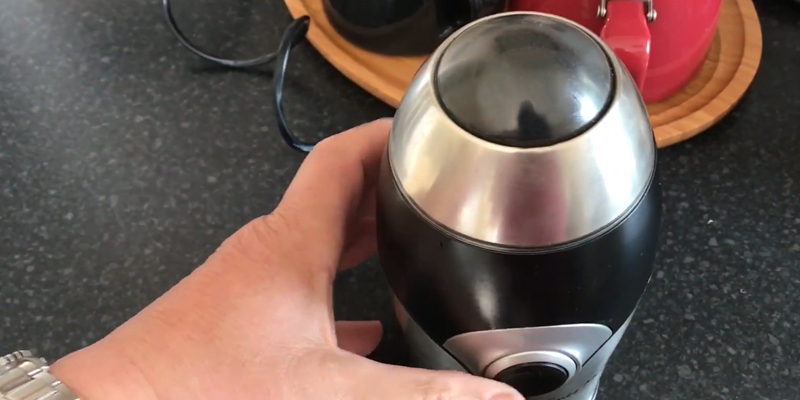 Perfect for seasoning and cooking, the Morphy Richards electronic salt and pepper grinder will be a perfect addition to your kitchen tool set as the product is definitely more effective than just about any other hand mill out there. A high-quality motor of this model has an output power of 150 W, which is rather unusual for such a compact device. Thanks to that, the tool is capable of quickly grinding just about any kind of spice or coffee beans. 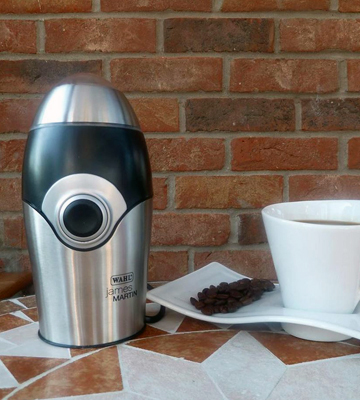 The design of the device features a dome-shaped lid that boasts a stainless steel housing with a transparent lid on top so you can easily monitor the milling process and stop the device when needed. Despite the fact that the appliance has a safety lock-in, the dome-shaped lid cap does present a certain issue as it can be rather difficult to open, especially with wet hands. As for the power means, this coffee and spice grinder has a special compartment to store the power cable. That said, some users may find the cord to be rather short. Furthermore, you will have to plug out the device each time you need to pour out spices for seasoning or coffee grounds into the coffee maker. Nevertheless, despite these minor flaws, the ZX595 is still a very convenient device that can compete with some of the more premium models when it comes to efficiency. All in all, the mini grinder from James Martin is an easy-to-use spice mill with just enough convenience and quality to offer all kinds of customers regardless of their experience with these devices. 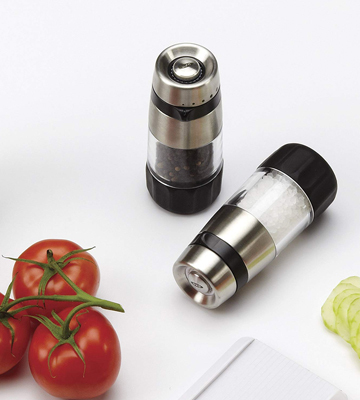 Being one of the few manual models on the market today, the pepper grinder from OXO is one of the most useful kitchen appliances you could buy. The sleek appearance of the grinder will complement almost any kitchen design. The housing of the tool is made of brushed stainless steel with black plastic parts. In addition to that, the grinder chamber is made of transparent material that conveniently displays how much spice is left inside the mill. 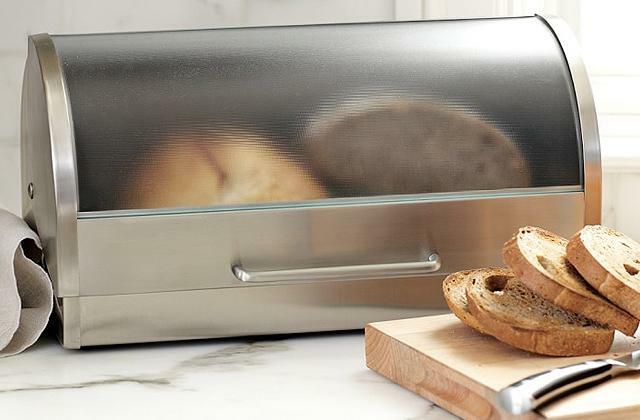 The acrylic body is highly scratch resistant, meaning that you will always be able to tell when it is time to pour another portion of spices into the grinder regardless of how long the device has been in your service. What is more, the bottom part of the grinder features a special padding so you will always have a perfect grip for hassle-free grinding. This rather small yet handy device features special taps on the top part that you can turn in order to pick one of the five available grinding options. 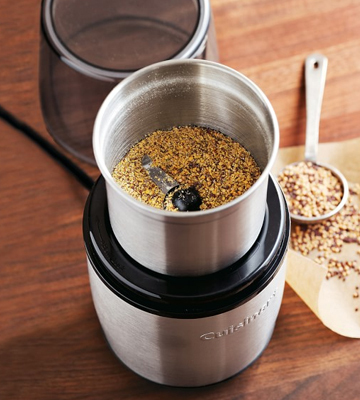 In just a couple of seconds, you can adjust the grinder to produce fine or coarse spices, which makes it a versatile option for grinding various types of spices. 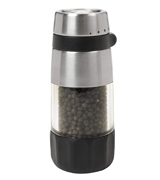 Perfect for small chilli seeds, Indian spices, and various kinds of pepper, the Good Grips pepper grinder is your go-to pick if you are looking for a manual model. What Is a Spice Grinder? Although there are a lot of ways to mill spices, the devices that are able to grind various ingredients while mixing them are quite rare. That said, the spice grinders are capable of milling different products such as coffee beans, nuts, and seeds. By utilising high-quality metal blades that are spinning at high speeds, the majority of grinder models are capable of dealing with tough nuts and spices that are naturally hard (cinnamon and other bark spices). There are a lot of different models out there on the market. That said, the majority of spice grinders are either corded, wireless, or manual hand models. While the first two are powered by outlets or batteries, the manual models require some physical force applied to them in order to mill the spices. Generally speaking, all you will need to do is turn the ring that turns the blades, so the manual models are fairly simple to maintain. 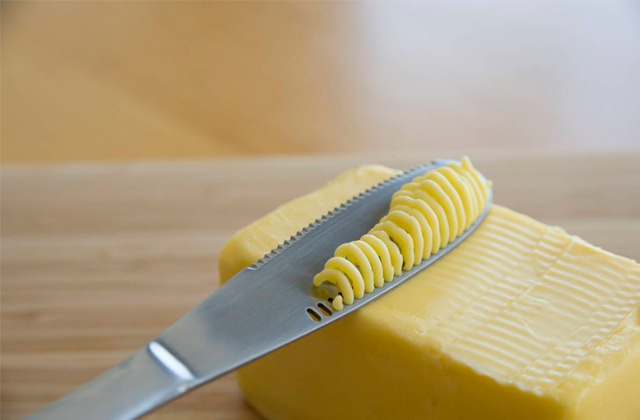 As for the safety measures, a regular grinder features either an interlock or a safety cap that prevents the blades from turning until the cap or the lid are completely closed. 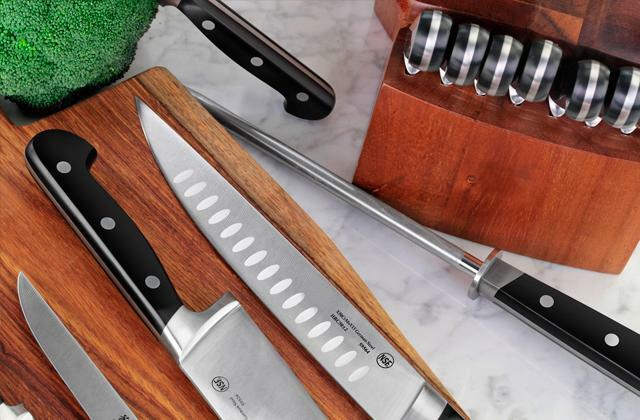 If you are looking for the type of kitchen equipment that simplifies the cooking process, we recommend reading our reviews on sushi makers and electric knives.